Home Business Commentary What Can Green Do for You? Are you ready to start the new year off right? It is past time to plan now but it is not too late. Most successful businesses already have plans on what’s coming in 2019. When we plan, then we are able to take advantage of opportunities others may sleep on. A report ordered by Congress about the global impact of climate change gives us a grim picture of its effects if it continues to be unmitigated. According to the report, “Impacts within and across regions will not be distributed equally.” If you are in business and are not taking this report seriously, then you are not a forward thinker. Profitability: You will have a better chance of increasing profitability. Serious sustainable effort and the adoption of sustainable practices will help you to eliminate waste which in turn will lower your costs across most areas of your company. Creativity: Eco innovation promotes careful scrutiny and in-house auditing which will make you think of new ways of doing things. You will become innovative with new products as well as processes. New Markets: When you adopt sustainable practices, you become open to new emerging markets and expanding old ones. This creates many new wealth opportunities. Investor Attraction: Banks, municipalities and single investors are eager to support businesses with a sustainable focus. Getting ahead of regulations. There are many regulations businesses have to be mindful of. If you are able beat them to the punch, you are able to cut costs and get a competitive advantage. We often see companies focus on marketing or public relations advantages gained from going green. Many companies have a practice of “green washing” or deceptively promoting their sustainable practices. 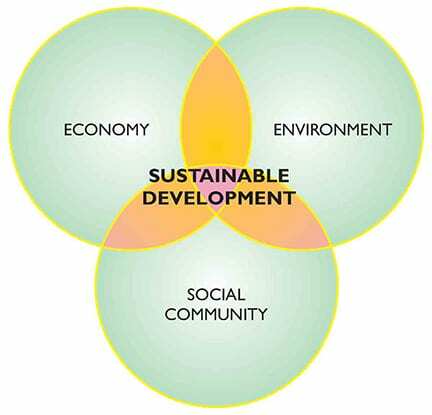 There is evidence, that sustainability leads to growth. Studies show employees are 46% more engaged, grow 34% faster than the category average, and have a Millennial consumer base that is 2.5 times more loyal. Do you feel as if you are behind and can’t catch up? Would you like to take advantage of opportunities for growth? Eco-innovation is the answer and will be the way to prepare for the future. If you are just starting your business journey, a sustainability plan will show you as being progressive and a forward thinker. It works with your business plan and can be used as a way to attract investors and add value to the community. I would like to help you get ready for survival in spite of the global impact study of climate change. It is not too late but we have to act now.